Unrelenting, these Clan Mechs have decimated regiment after regiment of Inner Sphere Mechs. Nothing can stand before them, and nothing can stop their inexorable drive in the heart of the Inner Sphere. From battlefield reports and salvage, ComStar's ROM technical division has been able to produce technical blueprints for four of the Clan's most feared OmniMechs: the Loki, the Vulture, the Thor, and the Mad Cat. 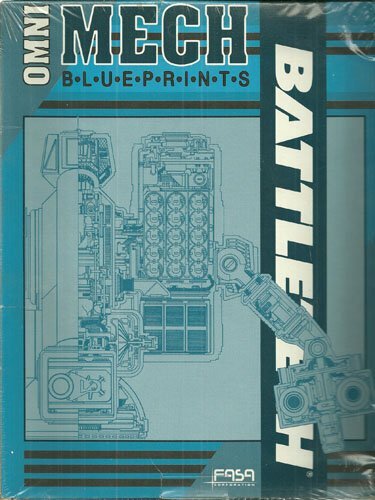 This Clan Blueprint set contains four 22" x 34" OmniMech blueprints printed on heavy poster stock. Each detailed drawing show both the internal and external structure of the OmniMech.